We.Stream especially developped an 1 Terrabyte mobile Data Package for corporates which can be used worldwide in more than 145 countries. This We.Stream corporate data bundle consists of a minimum of 1 TB of high speed mobile data and is 24 month's valid. 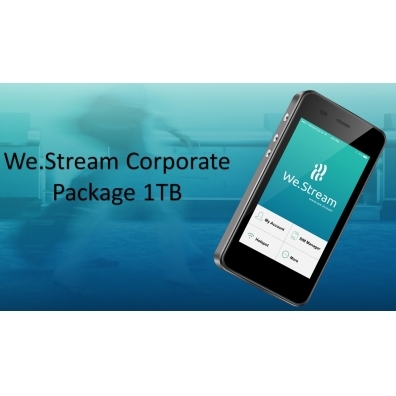 Truly unique is that the westream 1TB data package enables companies to share mobile data among its employees. Unlimited wordwide data is just one click away. 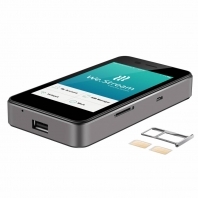 Companies can decide themselves where and when their employees can consume mobile data all over the world, without having the worries of a 'bill shock' and or the loss of unused mobile data. 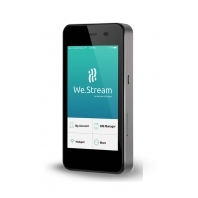 Employees can access the We.stream data pool with their We.Stream mobile hotspot with embedded cloud Sim technology. Embedded cloud technology creates a Virtual Sim and enables travellers to connect to the internet at any time, at any place in the world. With the secure VPN technology employees can establish a secure encrypted P2P connection with their company server. 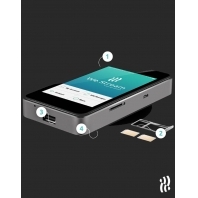 Expierience with and valuations about We.Stream worldwide corporate mobile data bundle 1 TB.There are no reviews available yet about We.Stream worldwide corporate mobile data bundle 1 TB. You can be the first to write one. 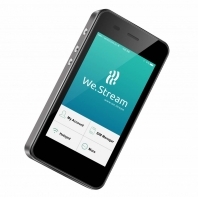 We.Stream 4G LTE Secure Mobiele Hotspot 150 MBps..